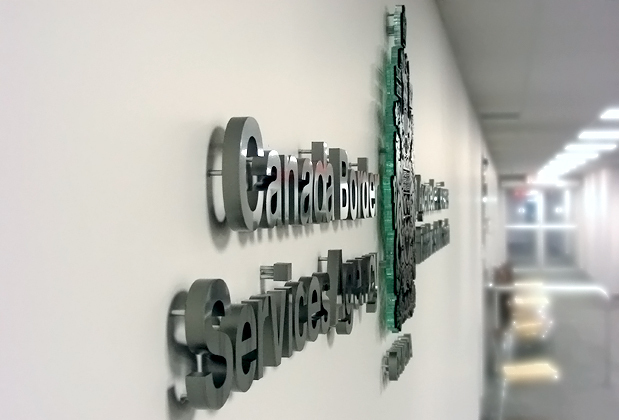 Design and fabrication of 3D corporate business office signage made with 1/2" acrylic with our substitute brushed metal finish and painted edges to match with 1/2" spacers on the back that are pin mounted to the wall. 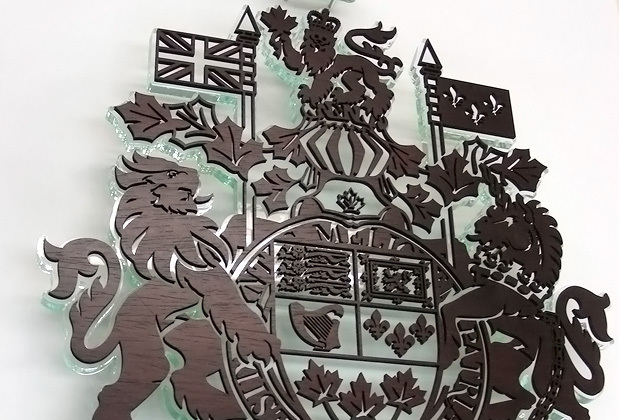 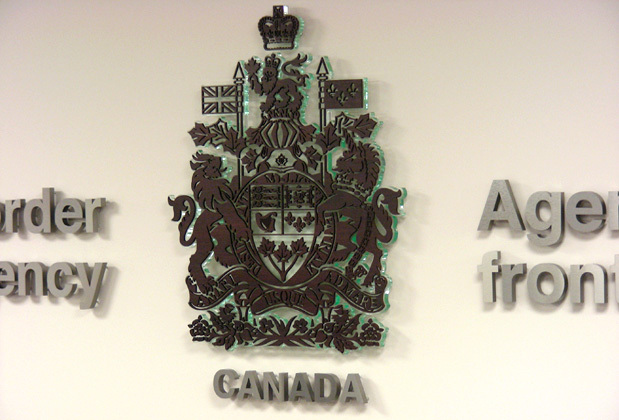 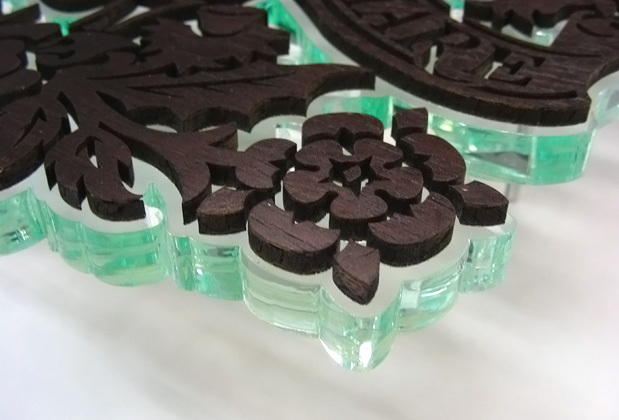 The Arms of Canada was created using natural stained wood and glass substitute all raised off the airport lobby reception wall with 1/2" spacers. 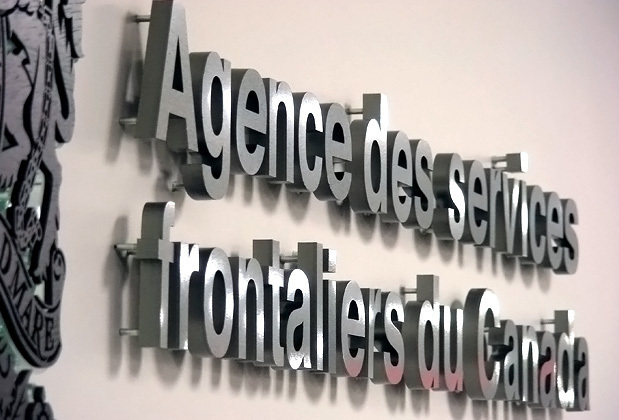 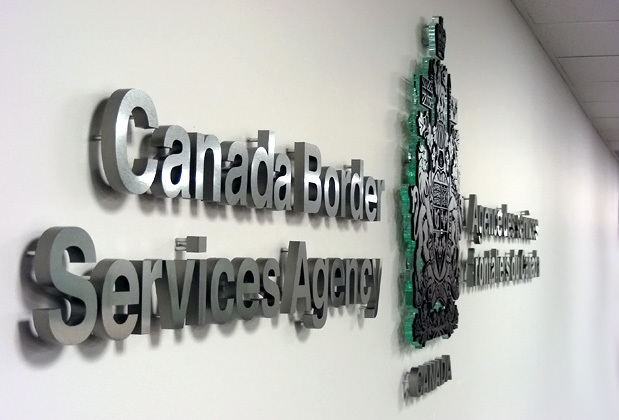 Customer - Canada Border Agency.